I believe that the Media Production II class has helped my communication skills enormously. I was able to conduct many interviews over the semester, from classmates to students trying to make a difference. I believe I have improved upon taking pictures that accurately tell someone’s unique story, especially in my “A Day in the Life” audio slideshow. That was my favorite piece because I was able to catch what my interviewee, Alex Salinas, is passionate about. I was able to use visuals to show how much he cared about school and the activities he participates in. It took me a while to figure out how to tell someone’s story using his or her voice. The hardest part was editing the interview to make their message sound effective, while at the same time being concise. I am used to writing their voice, but I have never actually used it in an audio medium. Interviewing my classmate and my friend was difficult because I forgot to ask them to answer the questions in complete sentences. It was a true challenge for me that took me until the final video project to master. Video was also never my strong suit. To this day, I have a hard time keeping my tiny point-and-shoot camera steady when capturing video. Using different angles to illustrate the story is a concept that I had never really practiced. It took a while to get used to, but once I got a hang of it, I learned how effective it is to telling a story. Using different angles really capture the different perspectives that the story holds. Overall, I enjoyed every project in this class to a certain degree, sometimes some more than others. I believe that I can effectively produce more web content for other publications. This class has given me the diverse experience I need to succeed in the communications industry. 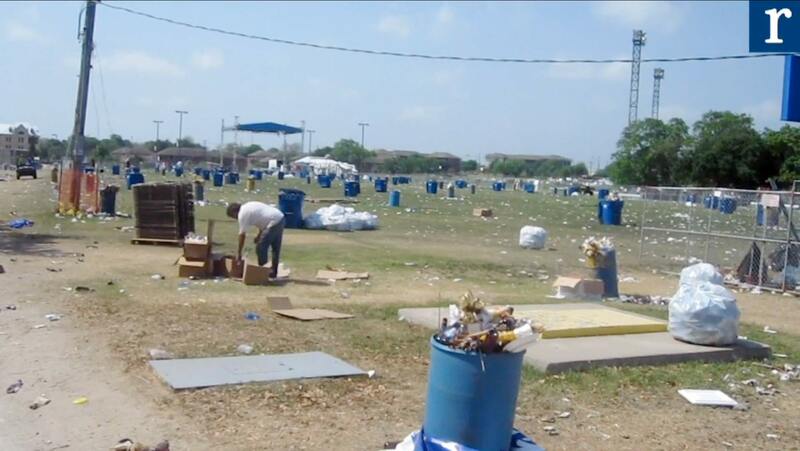 St. Mary’s University only has a little over 24 hours to clean itself up after the big Oyster Bake. Miriam Cruz, Junior political science major, gives her perspective on being a volunteer on the Oyster Bake clean-up crew. Freshmen Biology major Katie O’Kelley uses her culinary skills to prepare a lemon-zested chicken piccata dish. O’Kelley has been cooking for less than three years, but her mother prepared her for making this delight viral for you to enjoy. * 4 boneless/skinless chicken breast halves. Heat oil in a large skillet over medium-high heat. Add chicken and saute 2 minutes per side, until golden brown and cooked through. Add lemon juice, wine and chicken broth and bring to a simmer. Simmer 5 minutes, until chicken is cooked through and sauce thickens. Add artichoke hearts and capers in separate pan and simmer 1 minute to heat through. Alex Salinas, commentary editor for The Rattler, has a lot going on in his day. He is taking 21 credit hours so that he can graduate from St. Mary’s University this May. Discover his secret by clicking on the image above to view the slideshow. Charles Rodriguez, 20, waits for the bus stop on Market Street in downtown San Antonio, Texas. Many pedestrians walk up and down the streets of downtown often to unwind and reflect upon their lives. Christina Villanueva waits for the bus stop on Market and St. Mary’s streets. Residents use the VIA bus system to transport themselves in and around downtown. This is a daily routine for many who venture downtown. A couple sits on a bench and looks toward the sky on Market Street near Main Plaza. The benches not only are there for the bus stop, but for recreational purposes. Pablo Gonzalez and Audrey Hamilton, Main Plaza custodian, stop for a chat in Main Plaza. The Main Plaza is the park that sits in front of San Fernando Cathedral. People go for concerts or for a park-like experience in downtown San Antonio. Main Plaza custodian Audrey Hamilton cleans the fountains at Main Plaza. Renovations to the plaza were completed at the end of 2010. 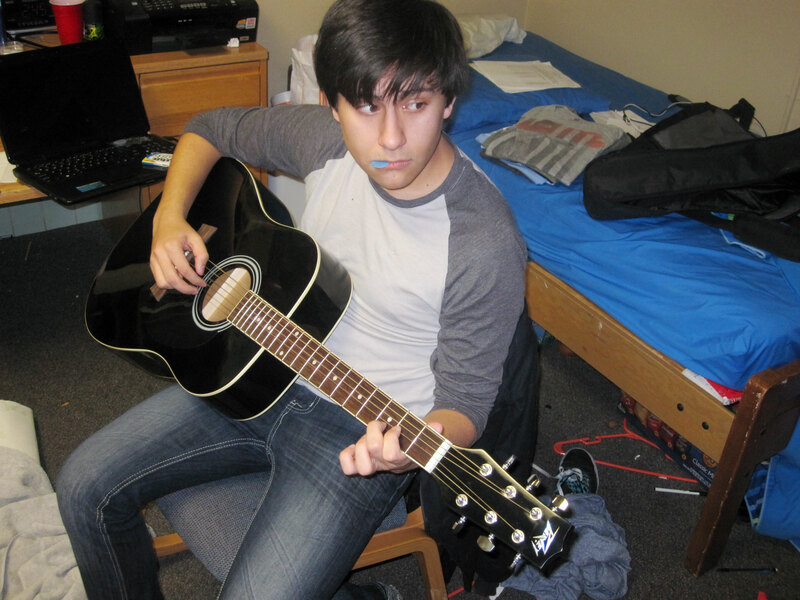 Sophomore psychology major Paul Guzman emphasizes how important it is to practice the guitar on a regular basis. He also tells the tale on how he picked up the instrument that would turn into a hobby. This blog is designed to tell the stories of the St. Mary's University campus. It's purpose is to create discussion, inform, and educate the St. Mary's community.